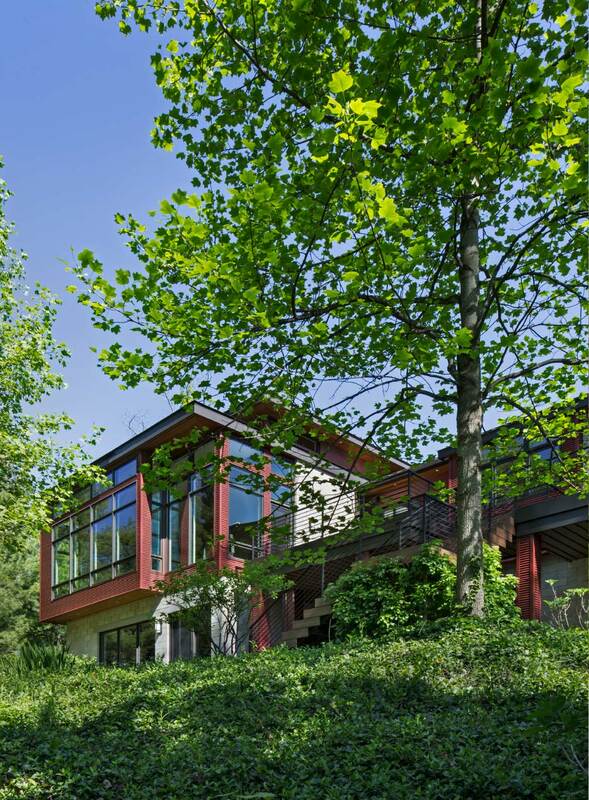 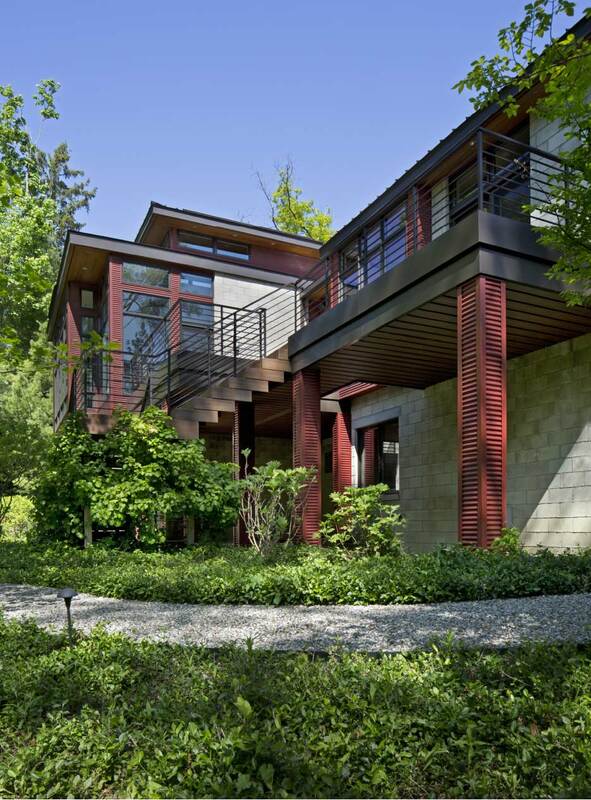 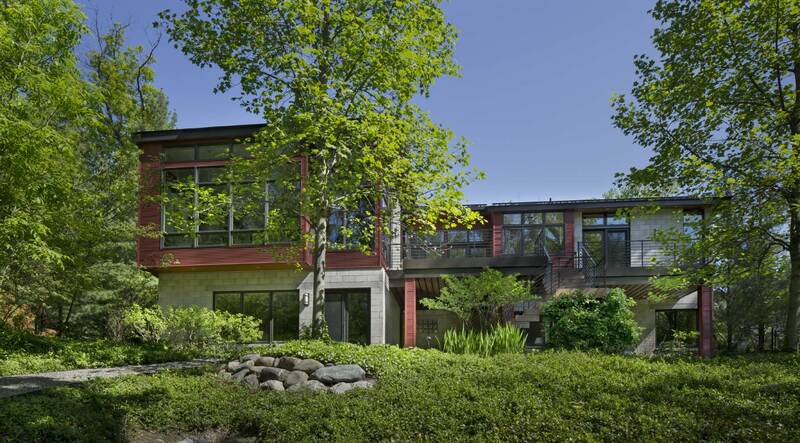 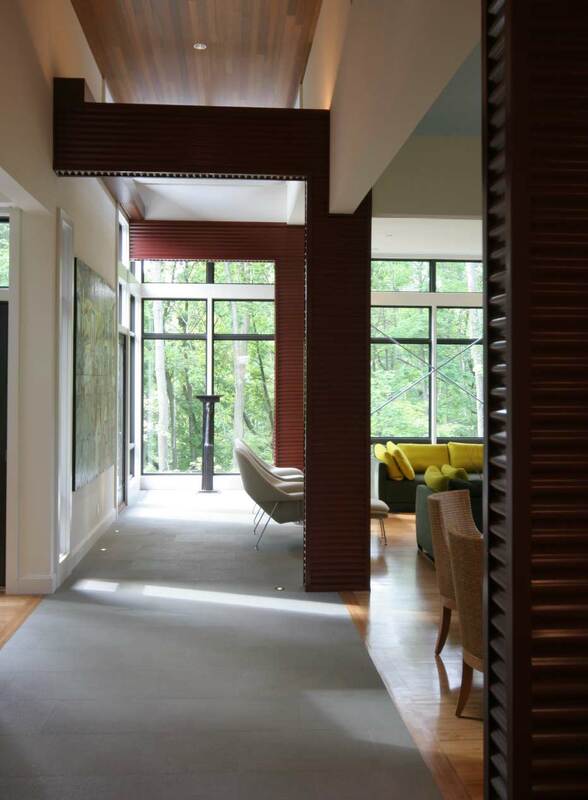 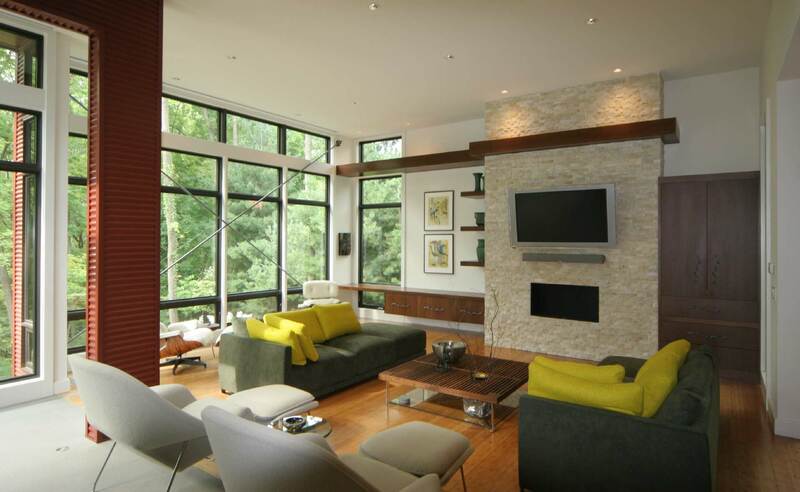 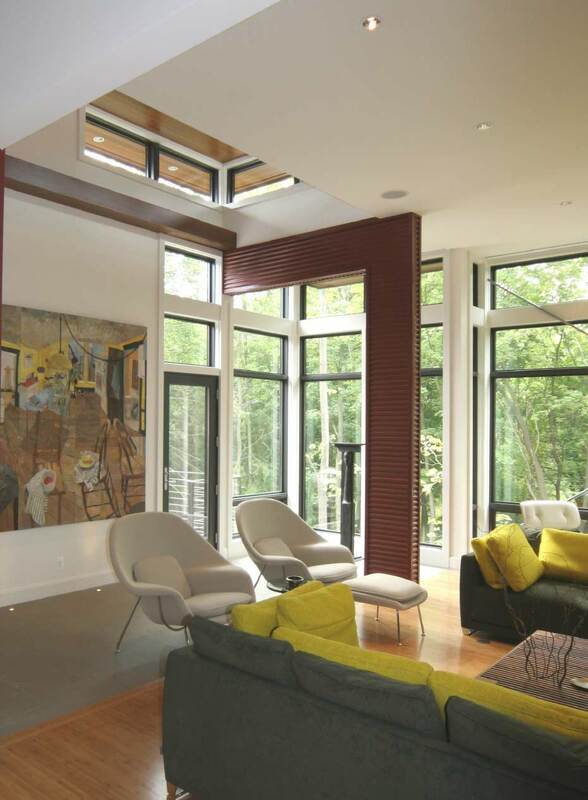 This new house on a wooded Rouge River ravine has generously scaled living spaces with light-filled, modern interiors, and a view into the treetops. 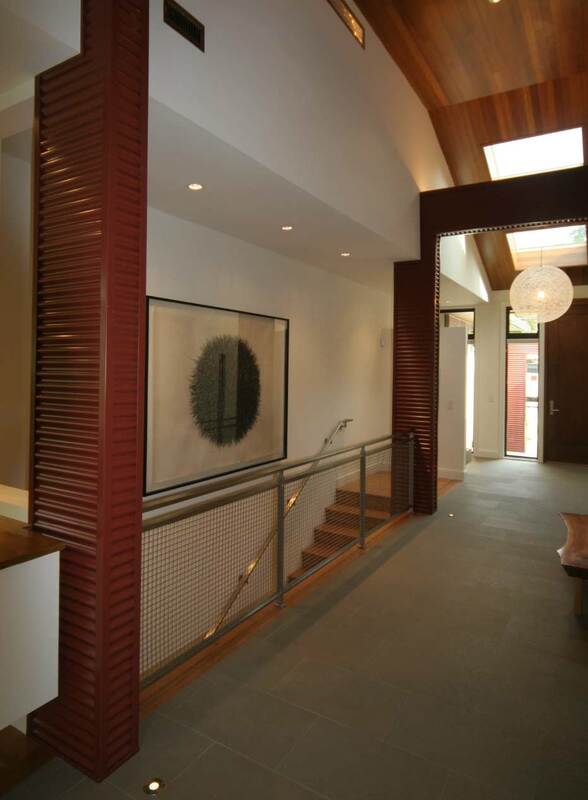 An ‘arcade’ element made of rust red metal is introduced at the front exterior courtyard and repeated through the main corridor, culminating in a ‘tower’ element at the end, near the ravine. 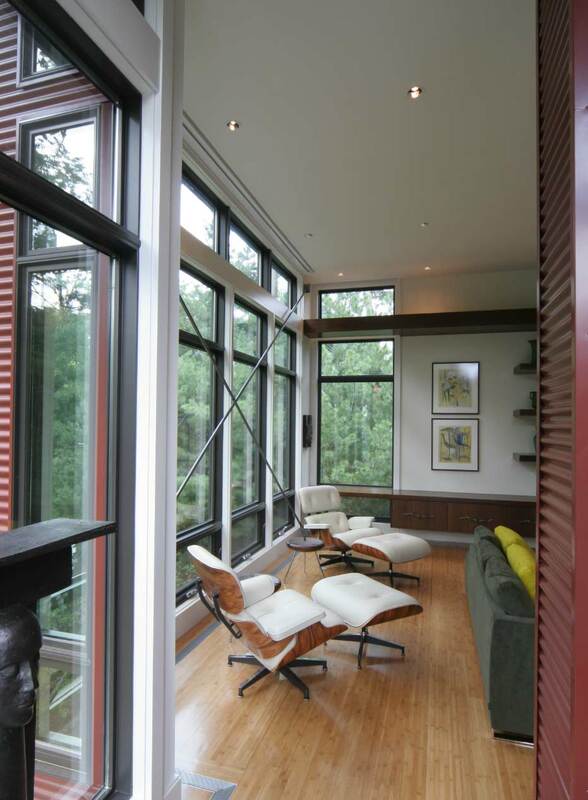 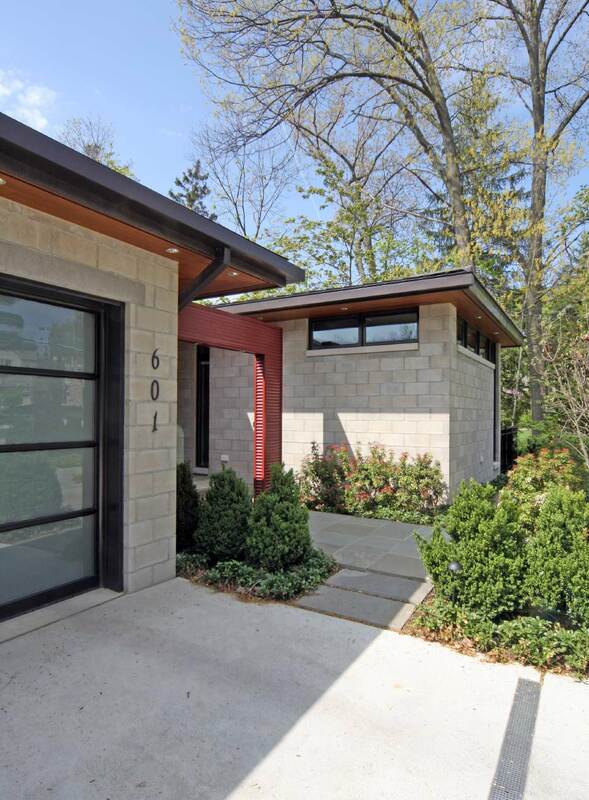 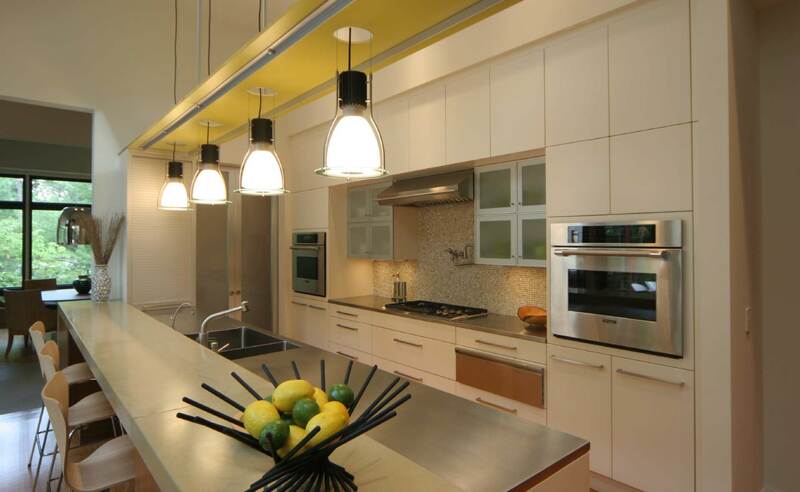 The mid-century modern interiors include natural materials and classic pieces from Eames, Saarinen, and Nelson.